A Star Wars fan from Aarhus, Denmark shared a photo to Reddit showing the Aarhus Theater from above, showing the building resembles a Star Destroyer. Fans in the comments pointed out the building looks similar to the Acclamator-class transgalactic military assault ships used to ferry the Republic's clone troopers during the Clone Wars. The "Star Destroyer" building is another instance of die hards noticing Star Wars in the real world: another fan of the saga shared a photo of a dog resembling Han Solo companion Chewbacca and a recent episode of Black Mirror featured several Star Wars easter eggs. 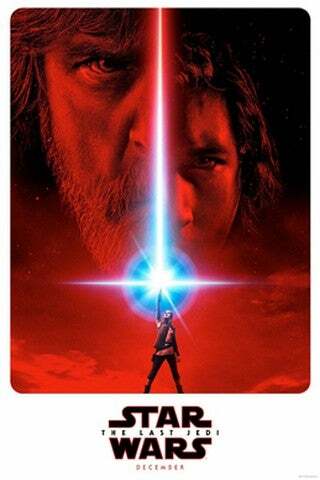 The franchise recently overtook the Harry Potter saga in total box office, helped along by the latest installment, Star Wars: The Last Jedi, which crossed the one billion mark at the worldwide box office just before the New Year. Disney-owned Lucasfilm will next launch Solo: A Star Wars Story in May before bringing Star Wars: Episode IX to theaters in December 2019. Rian Johnson, writer-director behind The Last Jedi, will next oversee his own spinoff trilogy reported to begin filming this summer in Scotland. Star Wars: The Last Jedi is now playing.